Martí-Ibáñez was one of few writers to be published in the original Weird Tales and in the revival of 1973-1974. (His second story was in the last issue of the original run.) Martí-Ibáñez died on May 24, 1972, presumably in Manhattan, where he had lived for many years. Editor Sam Moskowitz wrote a remembrance of him in the Fall 1973 issue of Weird Tales, calling MD "one of the most financially as well as artistically successful special interest journals ever published." "Dr. Felix Marti-Ibanez Is Dead; Psychiatrist and Publisher, 60" in the New York Times, May 25, 1972, p. 48. "Felix Marti-Ibanez, M.D." by Sam Moskowitz in Weird Tales, Fall 1973, p. 83. 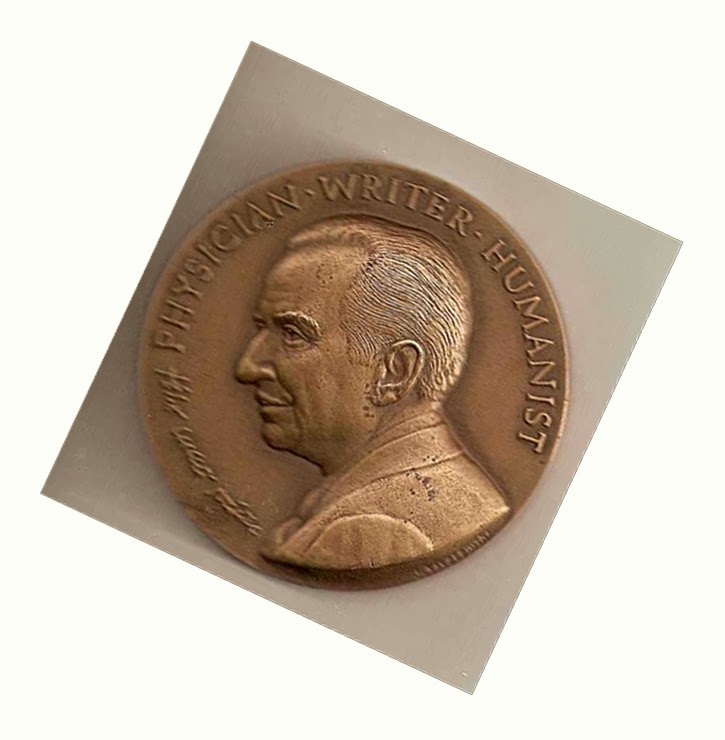 A medallion to commemorate the twentieth anniversary of the founding of the magazine MD by Felix Martí-Ibáñez. The designer was J. Kiselewsky.